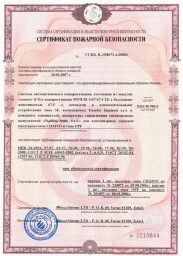 CERTIFICATION SERVICE for Russia, Ukraine, Belarus and Kazakhstan. We are a certification company with more than12 years of experience in the product-production certification for eastern countries. We followed many big projects in the OIL & GAS field such as Sakhalin and Kashagan, are on the vendor list of SAIPEM France and many contractors are our clients. We also have a big experience in certification of complex items such as lines of production and whole production sites. We are able to deal with complex certifications such as RTN (Rostechnadzor) with all its applications including gas, chemical, hazardous areas or lifting equipment and to obtain ATEX , FIRE, METROLOGIC certificates and obviously the conformity GOST certificates. We have many years of experience in the certifications required for goods to be installed onboard the ships registered in the Maritime or River Registries. One of the most complex and most prestigious work in the certification field. 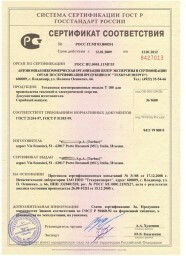 We can offer to all our client a service of translation for all the documentation in Russian language. A professional service at a very COMPETITIVE COST. East Certification is the professional choice - our deep knowledge of the procedures together with our "problem solving oriented" attitude gives a real saving in time and investments for our clients. Working with flexibility we are able to adapt our service to the real needing of the clients, starting from a simple consulting job up to a complete follow-up of plant certification planned on several years. Thanks to detailed reports and to the information regarding laws and rules, the client will be often updated, helping its decisions on how to develop the certification strategies.